After last year’s spell fasting KI surprised us with brand new mechanics in the fall of 2018! We call them Scion Spells and they can do double the regular damage if you meet the given requirements. The damage itself is pretty high, but you need to spend 12 pips in order to cast it. You should really aim to meet the given requirements before casting the spell because 12 pips is too expensive for regular damage. All of these spells have two versions that are visually somewhat different from each other. The higher damage one, where you meet all the requirements, looks more majestic and impressive. THESE SPELLS HAVE BEEN UPDATED! Does 1300 Fire Damage regularly. Does double (2600) damage if the target you are attacking has 2+ Damage over times on them. If hit for 2600 damage, the DoTs on your target will be cleared. In 1v1 this is a really strong spell, but it takes a bit to set up. Elf -> Elf -> Scion can be pretty devastating if you have the time and pips to set it up. An even better combo would be Death Bat -> Death Bat -> Scion. That way you can use Fire blades as well and maybe even one shot kill the opponent. There is triage of course, but using it is a double-edged sword. You’re just wasting a precious burning rampage counter. In 2v2 Scion of Fire is even stronger, since you need only 2 rounds instead of 3 to perform a combination. Even better, your partner can use Fire Elf and you Death Bat. This basically ends with a bladed hit into an unshielded opponent. Scion of Fire is still useful in PvE, but not as much as in PvP. Eliminating the ability to feint your opponent is just screaming to use alternative spells. While Scion of Fire can work in PvE, it simply requires to much setting up to be used as an effective way to kill most bosses. Does 1185 Ice Damage regularly. Does double (2370) damage if YOU, the caster, have FULL Health. Ice got the short end of the stick in this batch of spells. The requirements fit the school’s premise, but it’s really hard to meet them. The best choice is to try with Scion of Ice as soon as possible. The max level meta is all about aggression and not much healing. This means that even a wand hit or a weak off-school hit can completely ruin the whole spell. The situation in PvE is even worse than in PvP. Since monsters don’t fight as tactically as people in PvP, there’s a high chance you’ll receive a hit in a face before you’ve been even been able to obtain 12 pips. Does 1380 Damage regularly. Does double (2760) damage if the Target has 75% or greater Health. Unfortunately, Scion of Storm doesn’t help Storm too much in 1v1 PvP. It’s a really strong spell that can pack a lot of punch, but that’s not how the Storm school work. Storm is all about fast play and aggression, so saving up for 12 Pips might not end well. 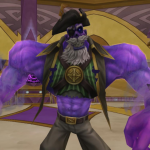 The total health is still really low for Storm wizards, which means only one thing: you have a lot of chances to die before you’ll have enough pips to spare. The story is little different in 2v2. With a Life partner you can stay alive long enough to save up for a massive hit and one shot kill one of the opponents. On the other hand, this spell is great for PvE. Scion of Storm is currently the hardest hitting spell in game, which means an even easier way to one shot kill tougher bosses. It’s a bit easier to stay alive in PvE than it is in PvP and blading up makes more sense. In addition, tougher bosses usually need a bit more buffing. Of course this won’t beat a well coordinated team that can kill most things in a few rounds, but some creatures are still a bit problematic and require more refined set ups. This spell is god-like and by far the best out of the Scion group. With Talos and the vast amount of stun opportunities there are plenty of chances of you fulfilling the requirements by just normally playing the game. If your opponent is stubborn enough to keep the stun blocks up, there’s always plan B; just use Stun Blocks on yourself and you’re good to go. Putting Stun Blocks up in PvP is one of these “do ASAP” thingies. Because of that, there’s a high possibility you’ll be already set before you reach 12 Pips. In combination with Talos/Shatter (to take care of your opponent’s shields) this spell is ready for Mass destruction. 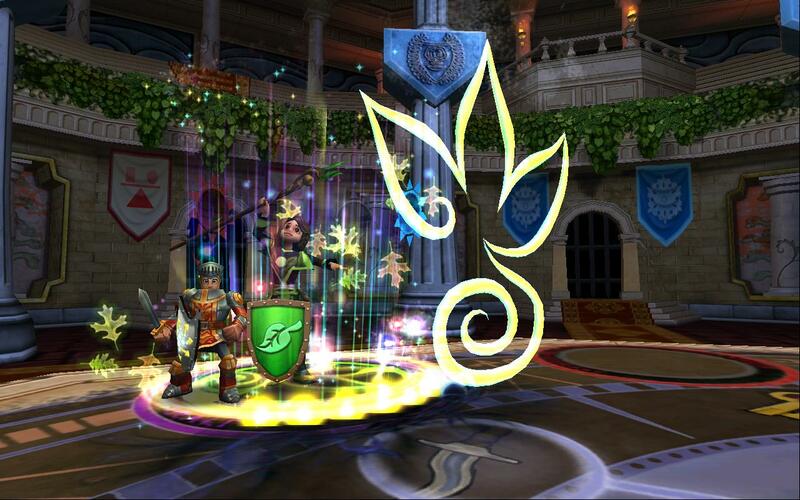 While Myth doesn’t usually serve as a hitter in PvE, this spell can be useful for those who decide to solo the game. Stun resist on bosses can be tricky, but the back-up plan will solve the issue. HEALS 1315 regularly. Does double (2630) healing if the target is 25% health or LESS. This spell has limited use in PvP. For regular non-jade players it is pretty situational. While it can bring you back to full health, it will leave you pipless, ready to get a barage of attacks in your face. Jades on the other hand might like this spell, since they often play really conservatively and don’t spend too many pips. In PvE it’s not that useful either. Since this is a different enviroment as PvP, you will have an easier time keeping sanctuary up and generally increase your healing boost. That basically translates into Satyrs being able to bring players back to max health. DRAINS 1040 regularly. Does double (2080) drain if the target is 33% health or LESS. Note: Drain will Heal YOU for ½ the damage dealt. This is by far the strongest drain in the game, but the requirement decreases its value. When it triggers the double damage while your opponent is below 33% of their max health, this spell won’t reach its full potential. When getting opponents that low on health, you’ll probably kill them with the next hit. This means you don’t really need the drained health. Or you could use a lower pip cost alternative to finish off the opponent. Scion of Death would be more useful in 2v2, since drained health will come in handy when dealing with the remaining player. This spell has similar problems in PvE as it has in 1v1 PvP. The drain simply isn’t very much needed when you’re finishing off an almost dead enemy. Using a lower pip spell to do the job would work equally well or even better. This spell can potentially be used against high health bosses, but even there, it’s more suitable to play support and buff/weaken, heal. Does 1225 Damage regularly. Does double (2450) if YOU have 6 or more Blades. Removes ALL blades if double condition is met. Scion of Balance requires a similar set up as the Fire spell. You will need 2 rounds prior to its hit (or 1 if you’ll play 2v2 with team mate). The downside is that Balance isn’t really known for bladestacking. The regular “spammy strategy” would need some adjustments. Regardless, blades can still be combined with Gaze of Fate or Spectral Blast for example to mix things up a little. In PvE, this spell can have a totally different implication. Instead of relying on Spirit/Elemental blades to quickly reach the quota, you can start stacking Balance blades. Before reaching 12 pips you should be able to put 6 up already and get ready to unleash a deadly one hit kill on boss. It’s really nice to see that KingsIsle has decided to implement new game mechanics. Regardless, the disparity between these spells is too big for now. They could use some tweaking to bring everyone to an even ground. The Scion spells don’t look game breaking, but these are just some initial thoughts. Time will tell what strategies these spells are going to bring to the table. I’m definitely looking forward to see them being used in PvP and PvE. and which one is your favourite! Life sure has become a bad hitter school then Ice ever since Wings of Fate and Scion of Life. The ice spell is the worst, it’s impossible to use, there is no way you can get 12 pips without losing any health. Ice doesn’t have a heal so there is no way to regain the health either. Hopefully it gets reworked to 75% or above health makes it double the damage. The storms one is far better than you give it credit for. Shrike>Blade/Storm Beetle>Scion>Sultan seems like a kill confirm against most opponents. Balance is the only school that could reasonably stop the combo with mana burn, the other schools have to just face tank the hits. Death, while not having use as a drain is now the school’s most powerful finishing spell. It’s been a few years but if i recall correctly, drains take 2/3 of the buff from sun spells. That puts this new spell at 1240 with the buff. Winged sorrow, 850-1030 damage, averages 940, 1240 post buff. So at worst you’re averaging at Winged sorrow damage, and trading the debuff for a drain, as best you’re ending the fight. Myth seems good on paper, having the most easily met 2x damage condition, however having all your stunblocks removed would be problematic if it doesn’t kill, especially in a mirror myth match where medusa is a concern, or if you’re second. Damage is especially high this meta so one stun could very well turn the tempo around. For that reason, i wouldn’t call it a 5/5. As far as the Ice/Balance/Fire spells go, they’re top tier currently and dont need them to succeed. Ice is quite unfortunate in PvP but they still have other viable methods to win, alongside arguably the best stats in-game. Balance wouldn’t benefit from blade stacking balance or elemental/spirit blades seeing as the former prevents pip gain and the latter prevents then from hitting, which most of their utility spells require. Fire has the best of the 3 top schools. while it contradicts the usual trap stack strategy, it’s got KO potential on it’s own and a clear shot due to the DOT requirements. Having it clash with the usual fire method is nice because it forces the fire to pick one and adds a little diversity. Opposed to allowing them to just pile it onto their already large list of viable kill spells. Life? They did life dirty lmao. The requirement to Scion of Ice could be “if 75% ❤ or more”, similar to Scion of Storm (which is exactly like this, but to the enemy). Other idea is to reduce dramatically the size of the spells: make all of them 6 or 7 pips (without shadow pip) and reduce the damage/drain/heal to half. Other idea is to reduce dramatically the size of the spells: make all of them 6 or 7 pips (no shadow pip) and reduce the damage/drain/heal to half. There is actually a guide for that now. 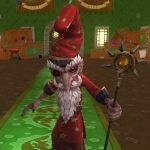 You can find it here: https://finalbastion.com/wizard101-guides/w101-gear-jewels-mounts/empyrea-part-2-zanadu-dropped-gear. Scion of storm is sick. Shrike+Scion of storm, is gg, right now best combo at cap is Shrike+Phoenix+Owl, which costs more pips.